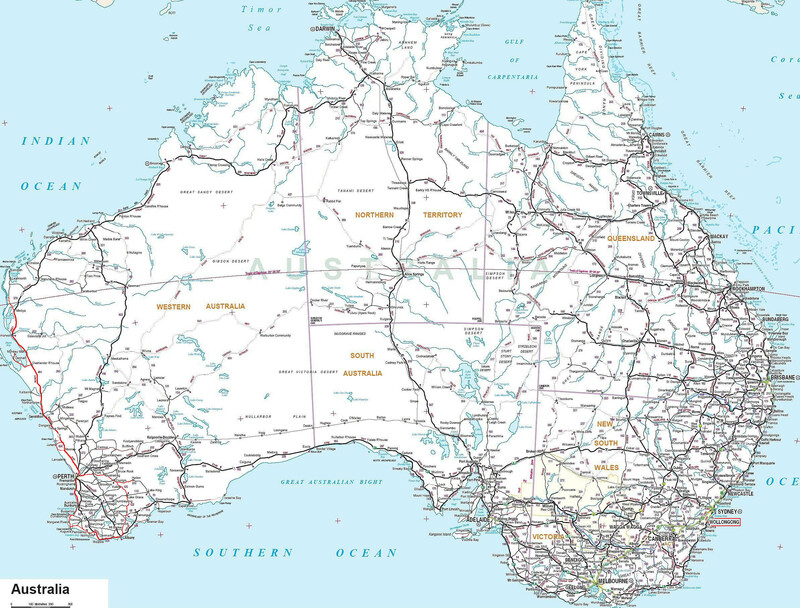 Large map of Australia with roads and distances between cities. 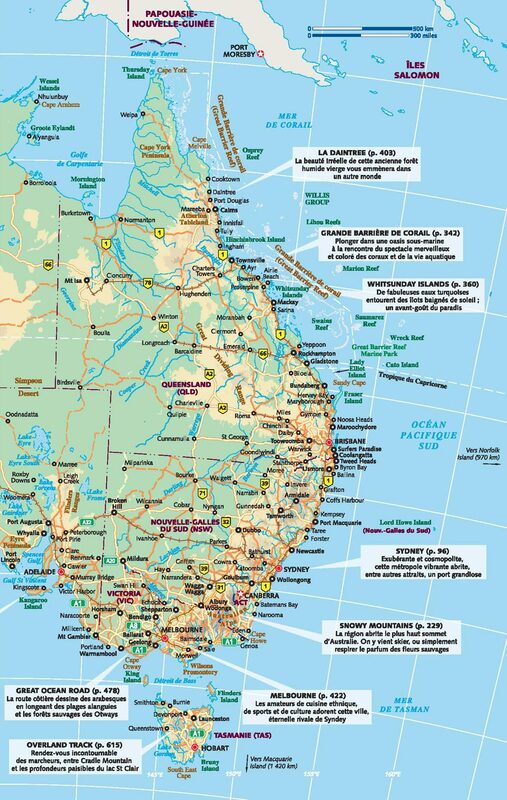 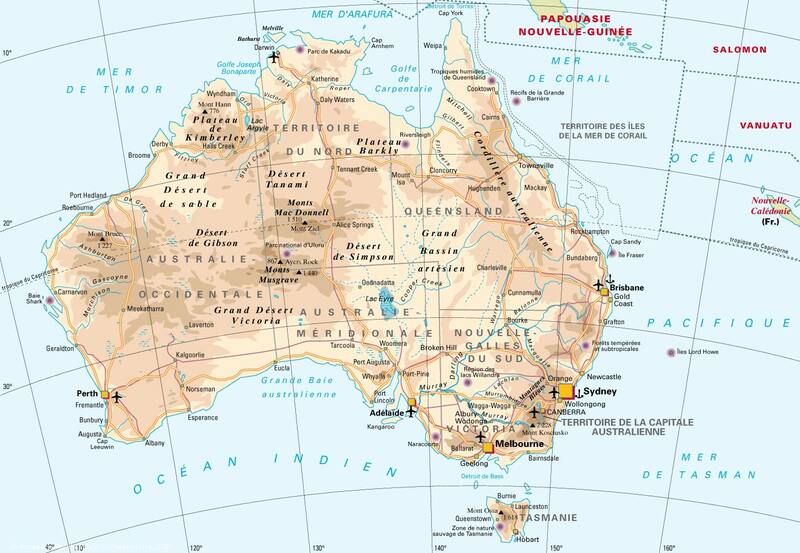 Australia map with tourist information, the distance between cities in kilometers and hours. Map of eastern Australia with comments on interesting places. 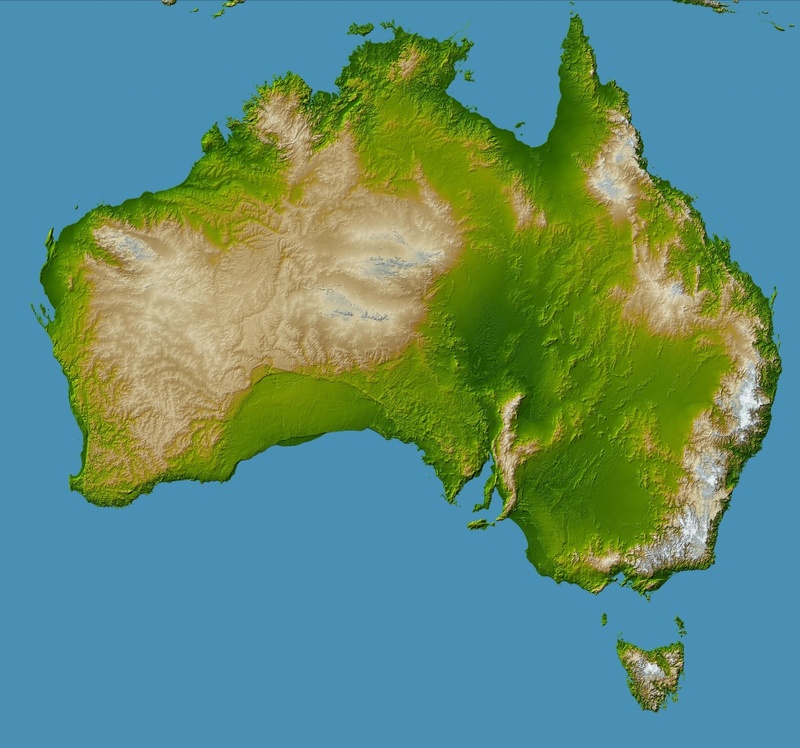 Australia map with cities, airports, ports and relief. 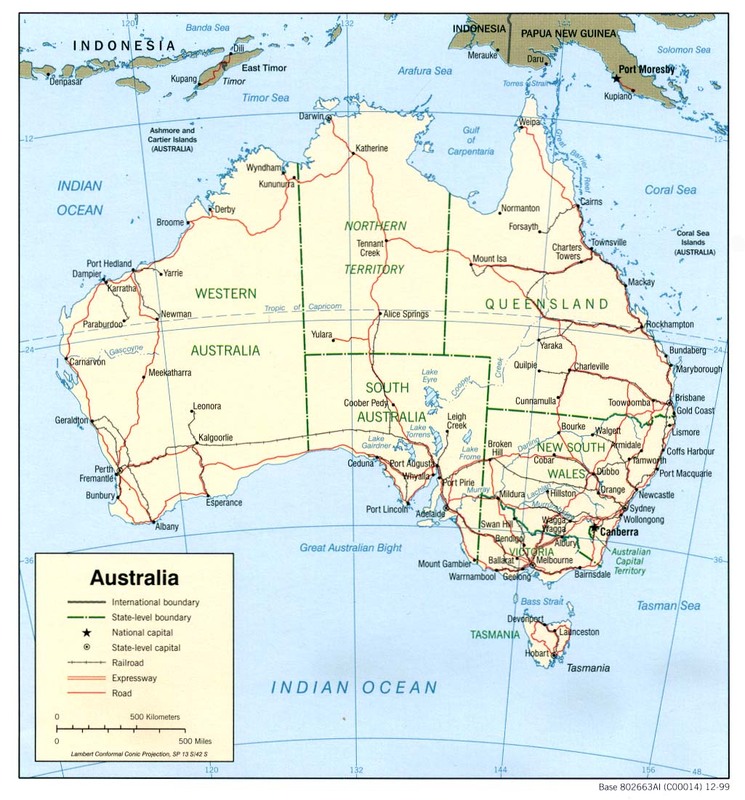 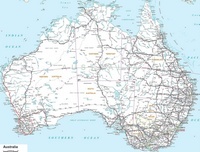 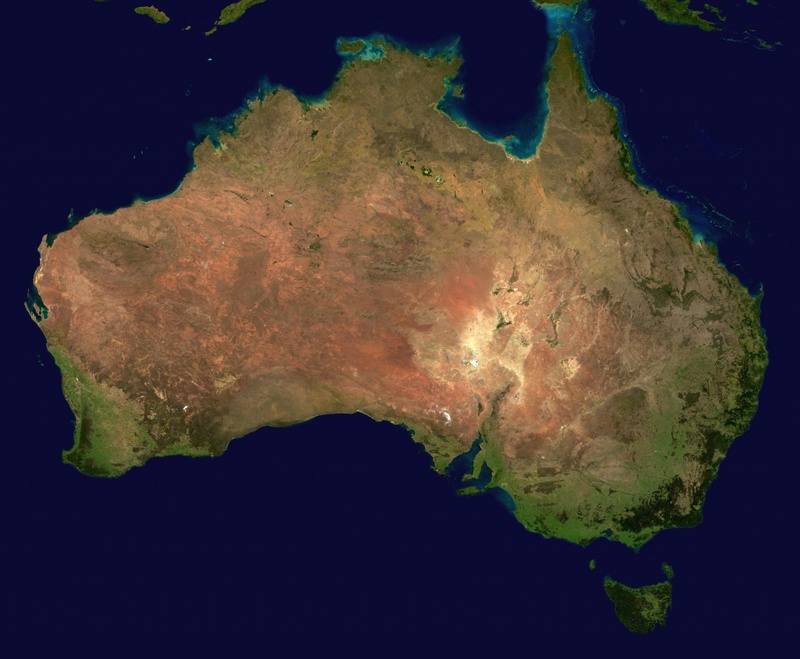 Australia map with state boundaries and their capitals, railroads, highways, roads and scale in kilometers and miles.